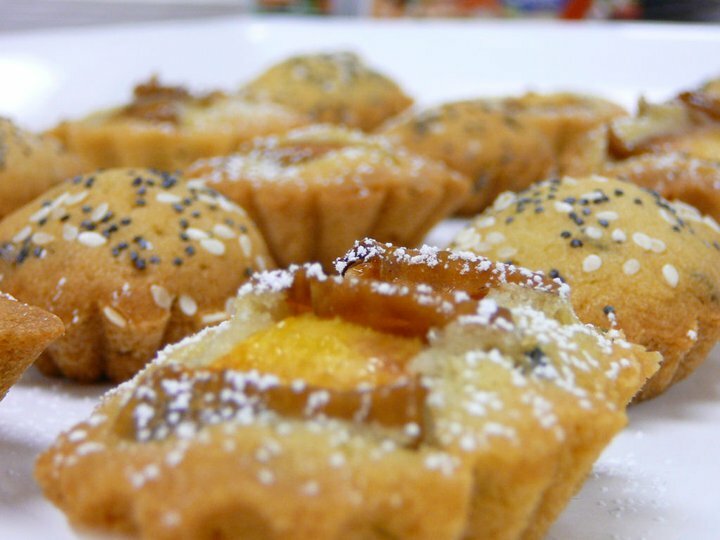 I made two variations; one with peach slices fanned on the top surface and dusted with confectioner's sugar, the other one with poppy/sesame seeds. Makes at least 48 small tarts. Next add vanilla and almond extracts. Sift together both flours, baking soda. Add flours mixture to rest of ingredients. Pour about halfway into mini-tart containers, bake at 350 degrees F for about 15-20 minutes.